© Gaëlle Choisne, La part de Colombo, 2013. Capture d’image d’une vidéo de l’assiette restante laissée aux esprits, 4’00, 16/9. Avec l'aimable permission de l’artiste | Courtesy of the artist. Welcome party, March 13th, 5pm-7pm! March 9 to May 31, 2014, we are hosting Gaëlle Choisne, a French artist of Haitian origin recently graduated from the École supérieure nationale des Beaux-Arts de Lyon (2013). Choisne’s practice broaches displacement, commitment, absent traces, a colonial past, and the Haitian diaspora. She proposes new restorations, micro-narratives on the traces of a silent history. On the crossroads of sculpture and photography, her installations favour an experiential relationship with materials and refuse. In Montreal, she intends to pursue her research in-situ, on a city-wide scale, encompassing parks, the Botanical Gardens, ethnographic and natural history societies, and meetings with writers, artists, and people in the Haitian community. At the end of her stay, on May 22, 2014, the artist will make her research public at the AGORA, a space in OPTICA’s new venue devoted to the interpretation of current happenings in contemporary art. The residency exchange programme art3 \ OPTICA receives the support from the Ministère des relations internationales du Québec, the Consulate General of France (in the context of the 64th session of the Commission permanente de coopération franco-québécoise) and the région Rhône-Alpes. Born in Cherbourg in 1985, Choisne has exhibited mainly in Lyon. In 2013, she took part in the Genova maXter Program, with artists Giorgio Andreotta Calò and the graphic designers’ collective Åbäke, at the Museo d’Arte Contemporanea di Villa Croce, in Italy. The same year, she was artist in residence at Astérides (La Friche Belle de Mai), in Marseille, and was awarded the 2013 Prix Linossier, which recognizes the work of three students at the École des Beaux-arts de Lyon. She will present one of her pieces in the collections of the Musée des Beaux-arts de Lyon, in March 2014. © Toi Ungkavatanapong, documentation visuelle de l'intervention urbaine (détail) Nuts Society présentée du 20 avril au 26 mai 2001 par OPTICA. Thursday, March 13 from 5 to 7 pm, OPTICA invites you for a last cocktail in the BELGO building to meet Gaëlle Choisne, French artist of Haitian origin recently graduated from the École supérieure nationale des Beaux-Arts de Lyon and laureate of the Résidence de recherche 2014 in Montreal, in association with art3 (Valence). Gaëlle will be in Quebec from March 9 to May 31. We hope to see you there for this last farewell to our local 508 who scored more than a decade of OPTICA history. OPTICA will be on the Avenue de Gaspé as of April 1st. OPTICA (Montreal) and art3 (Valence) initiated a combined residency and grant program for young artists*. The host organizations’ primary function is to serve as mediator for artists working in new environments, setting up meetings with professionals and organizing public presentations. At the end of the three-month residency, the grant recipient makes his or her work public and a publication is co-produced by OPTICA and art3 the following year. For complete details concerning this call and to submit your application, please see our Residency page. Something new this year:: It is now possible to submit your application online. Please take note that no project received by mail or email will be accepted. *For this specific call, duo of artists or curators are not eligible. DEADLINE :: April, 1st 2014. © Mathieu Latulippe, La chute, 2013. At one time or another, we have all dreamt of gaining access to a little piece of Paradise. In doing so, we are not always aware of referring to a Christian conception of the world, which is in itself proof that the place is now as much a part of our collective imagination as is, for instance, the Grecian Arcadia. However, when thinking seriously about it, we have difficulty envisioning the idyllic location in an entirely positive light, so closely is it associated with catastrophe and the fall. This is but one manifestation of our difficulty in conceiving an embodied utopia. Today, it would be hard not to imagine this Paradise threatened by industrial progress, whether in the form of pollution or of nuclear contamination. But the true impediment to positively imagining this locus of our origins is surely tied to our ambiguous relationship with nature. While we are inclined to envision this nature garden as benign, fecund, and wholesome, we are also aware that it is a wild environment, untamed, harbouring fierce creatures that are ready to pounce and annihilated us. In the end, our most cherished dream may likely be to step back into this Paradise, but in the form of a well-controled theme park. Mathieu Latulippe has had the enlightening idea of inviting us on just such an expedition. Of course, it is not a matter here of reconstructing the original Paradise, but of developing a contemporary artificial paradise that resembles, in some respects, our vision of suburbia. 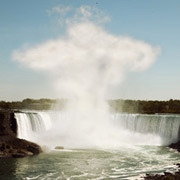 Through a series of little scenes—in some of which nature reclaims its rights with a vengeance that can rival disaster movies—the artist affords us a surrogate experience of staggering incommensurability. But this rehabilitated garden of marvels also has a fabular dimension that enjoins us to relish, if only for a moment, in new-found innocence, which may allow us to collectively free ourselves of our millennial fears. The artist thanks the Canada Council for the Arts, Optica, art3, Atelier Clark, Guy Asselin, Hugo Bergeron, Simon Bilodeau, Pierre Durette, Madeleine Grondin, Jules Lassale, André Latulippe, Frédéric Lavoie, Pierre Rannou and Kerim Yildiz. Press Review: «Du paradis perdu à la religion de l’art» by Pierre Rannou (Esse arts + opinions, 2015, no 83, pp.42-47), Visite d'atelier : Mathieu Latulippe «Retour à Paradise Lost» by Éloi Desjardins (Un show de mot'arts, May 16 2014), «Tout le monde veut aller au ciel, oui mais personne ne veut mourir» by Normand Babin (Montréalistement, May 31, 2014), and «Paradise Lost : a coup de guano» by Claire Moeder (Ratsdeville, June 13 2014, Jérôme Delgado «Derrière le paradis, la chiante réalité» (Le Devoir, June 8, 2014). Mathieu Latulippe lives and works in Montreal. He has exhibited in Canada and abroad, at such venues and events as the FIFA, Manif d’Art 4 in Quebec City, Centre de diffusion Clark, the Darling Foundry, the 2011 Québec Triennial at the Musée d’art contemporain de Montréal, and Netwerk, centre d’art contemporain (Belgium). Jennifer Lefort and Dominique Pétrin are sharing the exhibition space to produce a collaborative exploratory work. Taking into account their respective affinities for motif and colour, they decided to work together on a site-specific project, an “open” process in which they would establish a dialogue. Lefort’s pictorial art reverberates in an abstract register. Her large canvases become receptacles for varied, often antinomic surface treatments. Directing the gaze through variations in texture, impasto, and colour, broken, sinuous lines spread out into a space of great chromatic intensity, punctuated by motifs emanating from contemporary life. 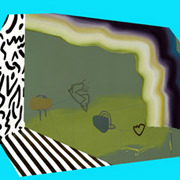 Dominique Pétrin puts together immersive, vibrant, aggressive, all-over environments, whose repeated motifs and large-scale iconographic repertoire created through silkscreen printing trigger psychedelic perceptual effects. Drawing her varied imagery from world visual culture, Pétrin invests both the exhibition space and public space with vitality and humour. Pétrin and Lefort have prepared a part of the material for the gallery installation remotely from their respective homes in Gatineau and Montreal. Receptive to game-based exchange, they worked out a protocol for a creative process to take them out of their comfort zones and challenge audience expectations. Punctuating the space with both individual and shared interventions, the collaborative approach the artists have opted for recalls Team Macho, the Toronto collective that avoids falling into a single mold by integrating personal perspectives into their electronic pop works. In tune with the ups and downs of the moment, the work of Pétrin and Lefort takes unexpected turns and will put the graffitist’s modus operandi to the test, that is, intervening without encroaching on the other’s work and territory. The artists thank Kandis Friesen and Jacinthe Loranger. With an MFA from Toronto’s York University (2006) and the recipient of the Joseph Plaskett Foundation Award (2005), Jennifer Lefort was a finalist in the RBC Canadian Painting Competition (2007). Her works have been shown in solo and group shows in North America, and can be found in many public and private collections. Represented by the Patrick Mikhail Gallery, she lives and works in Gatineau. Dominique Pétrin Dominique Pétrin is a multidisciplinary artist whose career has drawn from both music and the visual arts. Her print work has been the subject of numerous solo exhibitions in Canada and Europe. 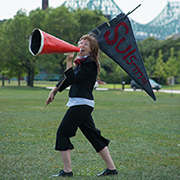 Known for her performances, Pétrin has taken part in many major events, including the Frieze Art Fair (London), Festival Désordres (Lille, France), and the Québec Triennial. 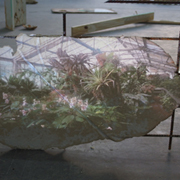 Nominated for the prestigious 2014 Sobey Art Award, she lives and works in Montreal. © Gaëlle Choisne, détail de l'installation "En ba la kay", 2013 | "En ba la kay" installation detail. Projection de la vidéo "Diorama" sur sculpture treillis en métal et béton | Video projection of "Diorama" on metal and concrete sculpture. 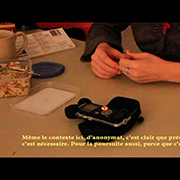 At the end of her residency, Gaëlle Choisne will present her research results carried out in Montreal. Graduate of the École supérieure nationale des Beaux-Arts de Lyon (2013), this young French artist of Haitian origin is interested in the notion of displacement, the absence of traces, colonial histories, and the Haitian diaspora. Her practice offers new reconstructions, micro-stories related to silent History traces. At the intersection of sculpture and photography, her installations promote a living relationship with material and waste. The residency exchange programme art3 / OPTICA receives the support from the ministère des Relations internationales, de la Francophonie et du Commerce extérieur du Québec, the Consulat général de France à Québec in the context of the 64ième Commission permanente de coopération franco-québécoise and the Région Rhône-Alpes. The residency exchange programme art3 \ OPTICA receives the support from the Ministère des relations internationales du Québec, the Consulate General of France (in the context of the 64th session of the Commission permanente de coopération franco-québécoise) and the région Rhône-Alpes. OPTICA recently received its new publication concerning the projects carried out by the laureates 2011 and 2012 of the residency research program art3 / OPTICA. ISBN 978-2-912342-47-8 ; 500 ex. This publication benefited from the support of the ministère des Relations internationales, de la Francophonie et du Commerce extérieur du Québec, the Consulat général de France à Québec in the context of the 64ième Commission permanente de coopération franco-québécoise and the Région Rhône-Alpes. © Karilynn Ming Ho, Where Where There There, 2012. Image tirée d’une monobande, son, installation, 18 min 20 sec. | Single-channel video still, sound, installation, 18 min 20 sec. Avec l’aimable permission de l’artiste | Courtesy of the artist. Primarily working in video installation, Karilynn Ming Ho looks at the iterative nature of performance and the formal elements of its construction, through a combination of found texts, minimal sets, audio and gestures sourced from high and pop culture. Suturing fragments of acts and a cast of characters, leaving narrative and identity unfixed, she elaborates a complex relationship between the actors and the camera where any sense of before and after is lost within each edit. Her method creates many avenues of interpretation such as the perspective that quintessential repetitions make up everyday life. Most of Ming Ho’s projects foreground ideas based on semiotic forms of production that become replayed with the use of elements pertaining to the cinematic, social, ritual and theatrical grammars. This composite vocabulary allows her to examine how these codification processes function as sites for performativity. For her latest project, she has created a video work that echoes capitalist behaviour through representations of desire and loss. It addresses the way in which the love song and the montage reflect the nature of the market, a continuous rise and fall, inflation and recession, falling in love, and then falling apart. According to the artist, “the market produces desiring bodies capitalizing on an economy of emotions, projecting a “love” that is insatiable, unattainable and ultimately an illusion; a desire that can never be fulfilled, keeping us wanting more”.1 For Ming Ho, performance and capitalism share a repetitive pattern involving a multiplicity of performing bodies and objects in an ongoing drive for more and an endless perceived lack that finds its re-enactment through language, gestures and objects. While analyzing this dynamic, her art also broaches the body’s inseparability from its image. In fact, screen-culture and the Internet have created a stage which engenders for Ming Ho multiple scripts and spaces of performativity, allowing her to draw upon the endless influx of photos and videos uploaded daily and to depict the ubiquity of language and gestures in today’s cultural climate. It is through this imbrication of body and image that Ming Ho explores how the screen has turned us all into performing subjects. 1. Karilynn Ming Ho, Preparatory notes, 2014. Karina Irvine is an emerging writer and curator from Vancouver, BC. She is currently completing her Masters in Art History at York University. Karilynn Ming Ho lives and works in Vancouver. She earned a BFA from Alberta College of Art and Design (2005) and a MFA from Simon Fraser University (2010). Working in the world of reality television programs, her artistic projects have been shown across Canada and internationally in solo and group exhibitions. © Alexis Bellavance, Les premiers, 2013. Installation audio | Audio installation. 6,1 x 6,1 m. Avec l'aimable permission de l’artiste | Courtesy of the artist. The most beautiful things are usually the simplest and two-dimensional things are easier to grasp than three-dimensional ones and there’s nothing like a white cube for isolating a work of art, to better look upon it, but it isn’t as simple as that, there are images that move and sometimes even images that aren’t images but are more like constructions, or experiences, images that one can practically enter. 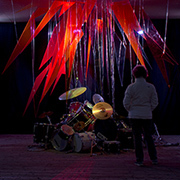 Deployed in Alexis Bellavance’s installation, apart from the frame hung on the wall, is a machine, a rudimentary and useless technology, generating a quiet, fan-induced hum and as like to potato chip bags as it is to bubble gum—no reductive thinking intended—it is in fact mylar sheeting, normally used as emergency covering, its function here entirely aesthetic, poetic, the machinery recalling some of James Turrell’s work, or Anish Kapoor’s Leviathan, mylar, thin and light, in constant motion, nearly ungraspable, unveiling itself perfectly in its imperfect rustle. Next to the frame on the wall and the fan is a closed door and when one opens this door, the Big Bang, the Universe, and the Milky Way, the darkness and the light and the whole shebang that comes with it, set in motion, a quiet black hole, as the mylar—also called “space blanket,” in its NASA-inspired manifestation—becomes enchanted, waltzes, changes, crackles and sings, it is very beautiful, the flip side of the coin, Bellavance’s is a machine that reveals its own simple and incredible operation, its shimmering, quicksilver, ever-changing, and never-repeated rustle, like leaves in a gust of wind—taking us from space travel back to elementary nature. In the white cube, the painting becomes magnificent, wonderful, and yet so simple, but we haven’t a clue when seeing it from here, it is only a press release; to see the beauty of the machine, its obverse and reverse, one has to step up, look, open the door, experience, become enchanted. Marc-Antoine K. Phaneuf Marc-Antoine K. Phaneuf is an artist and an author. He has published three books at éditions Le Quartanier. 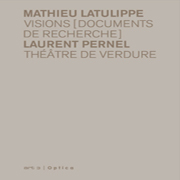 His drawings will be on view at OPTICA in January 2015. Alexis Bellavance and Jonathan Villeneuve will host Chantal Dumas and Erick d'Orion during an evening of audio performance in the Machine à deux temps at Belleville studio (6538 Waverly, Montréal). Since 2001, Alexis Bellavance has produced installations, photographs, and performances that have taken him around the world. He also makes music, is a member of the BOLD trio, and the joyful co-creator, with Jonathan Villeneuve, of the “Machine à deux temps,” a weird and wonderful instrument permanently installed in their inventor’s studio on Waverly street. © Edith Brunette, Consensus, 2012. Image tirée d'une vidéo, 42 min | Video still, 42 min. Avec l'aimable permission de l’artiste | Courtesy of the artist. Observing language as revelatory of the power relationships driving society, Edith Brunette is interested in the discourse practised by governing institutions and by those who challenge them. She provokes acts of speech on the part of various societal actors in order to prompt reflection on our perception of the world and on the means of collectively appropriating its representations. During her residency at art3 (Valence), the artist will focus her interrogations on French corporation S.T. Dupont, examining its discourses on beauty, culture, and freedom through the products the company manufactures and their mode of production. The exchange residency research program art3/OPTICA receives support from the ministère des Relations internationales, de la Francophonie et du Commerce extérieur du Québec, of the Consulat général de France à Québec as part of the 64ième Commission permanente de coopération franco-québécoise, and the Rhône-Alpes region. Edith Brunette will present her research conducted during her residence in France. This presentation will be the opportunity to discover her past work as well as her current project on the French luxury industry. Between the shine of objects, icons and art foundations, and the anonymity of a precarious workforce, the artist questions her own place in a system that can either accept and reject her. Julie Lequin brings a multitude of media into her practice, especially prominent are drawing, performance, video, sculpture, and installation. At once patched together and conceptual, her works incorporate the life experiences that have moulded her identity. Reproducing characters from scratch that inhabit her existence, Lequin uses humour and satire, but also draws on nostalgia to broach questions of identity and to look back at the places that have shaped her life. As a DIY (Do It Yourself) aficionado with kick for pop culture, she recreates her immediate environment by hand, documenting, archiving, altering, and enhancing it with each artistic intervention. Hers is an intercultural practice articulated around interaction and exchange, a laboratory in which the artist negotiates her relationship with the world from a first-person point of view. Underlying the use of a foreign language that engages new identities, her works highlight the complexity of relationships between individuals in a globalized world. 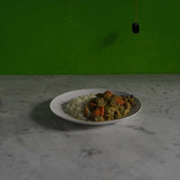 In the video installation Top 30 (2012), which alternates between French and English, augmenting the duality, Lequin films a backward journey through her birthdays in the various places she has lived. Excerpted for this presentation, the video is divided into yearly “chapters,” each featuring a different actress playing the artist. Sharing aspects of Lequin’s private life, each actress hums a tune that had marked the artist that year, the very dissimilarity of the women embodying the evolution of an identity. For its part, the installation Confabulatory Chronicles (2012 – ) stages or, rather, boxes up the men—teachers, lovers—who’ve had an impact on her life. The platform, like a life-size diorama, allows her to accentuate and caricature certain of their traits. During a residency in Mexico City, Lequin learned local artisanal techniques based on papier-mâché, evinced in the piñatas used in the project. This methodology broadly expresses a process in her practice of absorbing and representing both various cultural codes and her daily observations. More universally, it testifies to the hybrid, porous, and constantly changing nature of identity as it makes contact with others and their universe. Julie Alary Lavallée is communications and archives coordinator at OPTICA. She is also an author and is preparing her doctoral thesis on contemporary art from India. As part of OPTICA’s young audiences mediation program, Julie Lequin met up with 5th and 6th graders at Saint-Enfant-Jésus elementary school in the Mile End. Schoolchildren participating in the project visited the exhibition with the artist in attendance and explored the creative process through a workshop given at their school. The video works the students produced during the workshop will be projected at centre OPTICA’s new AGORA space. The students will exhibit their masterpieces at centre OPTICA's new AGORA space from December 10 to 20. The opening will take place on December 9 from 5 PM to 7 PM. The young audiences mediation program is supported by the ministère de la Culture et des Communications and the City of Montreal (as part of the Entente sur le développement culturel de Montréal), and the Caisse Desjardins du Mont-Royal, Caisse Desjardins de l'Est du Plateau, and Caisse Desjardins des Versants du mont Royal. A graduate from Concordia University and from the Art Center College of Design in Pasadena, California, Julie Lequin was awarded the 2014 FONCA studio-residency in Mexico City, in partnership with the Conseil des arts et des lettres du Québec. Her works have been shown at Centre Clark, Art in General in New York, and at the Los Angeles County Museum of Art. © Renata Poljak, Great Expectations, 2005. Vidéo, super 16mm, HD, couleur, 17min. | Video, super 16mm, HD, color, 17min. Avec l’aimable permission de l’artiste | Courtesy of the artist. In Great Expectations (2005), one of three video works she is presenting at OPTICA, Poljak shares a polyphonic family narrative spanning three paternal generations, those of her grandfather (“king’s father”), her uncle (“the king—who taught me how to swim”), and her cousin (“the king’s son”). The narration—accompanied by point-of-view shots of the settings of the artist’s childhood—takes us back in time to the Socialist Republic of Croatia in the 1960s, then subsequently to the rise of nationalism and the market economy of the 1980s, and ending with the tensions fomenting in the Balkans today, a decade’s dismal legacy of conflict that has abetted the extreme right. This voiceless violence is conjured as much by its physical manifestations (ruined buildings and unbridled urban development) as through sound (the crackling of a fire whose troubling origin is eventually revealed). Female figures come into greater focus in Jump (2000) and Things We Don’t Talk About (2014), in which Poljak appears to explore the same kind of tensions. In the first, it is rendered through a sterile leitmotif and ceaseless back-and-forth, elements that are somehow reflected in the second through an uncomfortable silence and oppressive male gaze. Beyond the avowed subject of the condition of women, the artist takes a look at the universal consequences of a lack of resolve or communication, suggesting a wider sense of malaise, doubt, and vulnerability inherent to the human condition. Yet the body of work presented in the gallery eschews defeatism: the photography and narrative in Blue (2010) afford us a glimpse of a possible, though (as in everything) ephemeral equilibrium. Following her studies at the Arts Academy of the University of Split, Croatia, Renata Poljak completed postgraduate studies at the École régionale des beaux-arts de Nantes (1999) and took part in a number international residencies, including as guest artist at the San Francisco Art Institute (2002). Her work has been shown around the world: at the Centre Georges Pompidou (2010), the Palais de Tokyo in Paris (2012), the Stephan Stoyanov Gallery in New York (2013), and the Muzej suvremene umjetnosti in Zagreb (2013). 1. Statement taken from a conversation between Poljak and Branka Bencic concerning the exhibition "In Three Chapters" (2011). Online reference accessed October 21, 2014. Emerging curator and author Geneviève Bédard is coordinator of exhibitions and cultural mediation at VOX, centre de l’image contemporaine. © Julie Lequin, Madame Coucou, 2014. Photographie numérique, 76,2 x 101,6 cm. | Digital photography, 6,2 x 101,6 cm. Avec l’aimable permission de l’artiste | Courtesy of the artist. Photo : Paul Litherland. On Family Saturdays, you and your children can discover Julie Lequin’s new exhibition entitled Bibelots. During the visit, children will learn about the artist’s creative process while sharing their thoughts with our mediator in a friendly atmosphere. 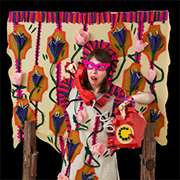 You will then be invited to make piñatas—with examples provided straight from the installation Confabulatory Chronicles. Julie Lequin brings a multitude of media into her practice, especially prominent are drawing, performance, video, sculpture, and installation. At once patched together and conceptual, her works incorporate the life experiences that have moulded her identity. Reproducing characters from scratch that inhabit her existence, Lequin uses humour and satire, but also draws on nostalgia to broach questions of identity and to look back at the places that have shaped her life. Confabulatory Chronicles (2012 – ) stages or, rather, boxes up the men—teachers, lovers—who’ve had an impact on her life. The platform, like a life-size diorama, allows her to accentuate and caricature certain of their traits. During a residency in Mexico City, Lequin learned local artisanal techniques based on papier-mâché, evinced in the piñatas used in the project. 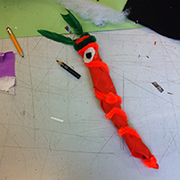 Creative family workshops will be held on the Saturdays of November 22 and 29, and December 20. The mediator will be offering the workshop from 1 p.m. to 4 p.m. Your are free to begin when you like and can take the time you need to finish the artwork. 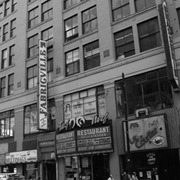 The educational program is supported by the ministère de la Culture et des Communications and the City of Montreal (as part of the Entente sur le développement culturel de Montréal), and the Caisse Desjardins du Mont-Royal, Caisse Desjardins de l'Est du Plateau, and Caisse Desjardins des Versants du mont Royal. Hétéropolis (le livre), publication Adaptive Actions, décembre 2013.| Hétéropolis (the book), publication Adaptive Actions, december 2013. Price: $20, which includes a copy of the book Heteropolis. Free for those who already have the book. Informed by the paradox of heterogeneity and homogeneity in the urban fabric of the world’s cities, Adaptive Actions (AA) proposes a two-day workshop at centre OPTICA in which participants can share their thoughts on these transformations. Certain quarters of the city of Montreal, such as the traditionally working-class neighbourhoods of the Mile End and Mile-Ex, are changing quickly, their gentrification marked by mushrooming art galleries and art centres while major international businesses set up shop in the area. How do we reactualize points of contact between the various communities? How do the dynamics and power relationships influence this development? How can we renew the narrative potential of these areas today? 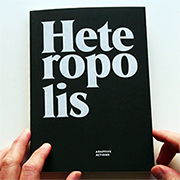 The book Heteropolis contains pages intentionally left empty, as they are reserved for the contributions of workshop participants. Interacting directly with the project, participants are called upon to comment on the forms of hybridization that emerge from the urban diversity they observe in the field. With various media at their disposal, they are invited to express their point of view on an existing, emerging, or imagined condition or situation specific to Montreal. A discussion about the projects developed in the book will take place in OPTICA’S AGORA space during the second weekend of the workshop. Published in French and in English, with a print run of 1000 copies, the 350-page Heteropolis comprises an interview with political theorist Michael Hardt, a dozen critical essays and fictional texts of 1,500 to 4000 words (by Kyong Park, Sophie Le-Phat Ho, Patrice Loubier, Alexandra Tigchelaar, Gean Moreno, Scapegoat, among others), and more than 40 contributions in the form of photographs, drawings, scans, and citations (including the work of Laurence Bonvin, Jean-Pierre Aubé, Ana Rewakowicz, Nuria Carton de Grammont, Tercerunquinto, and Electronic Disturbance Theatre 2.0 / b.a.n.g. lab). The book weaves connections between international contributors from a diversity of places and contexts—Montreal, Tijuana, Miami, Hong Kong, Beirut, Quebec City, Cairo, New York, and Douala. The editorial committee consists of Marie-Pier Boucher, Jean-Maxime Dufresne, Gema Melgar, and Jean-François Prost. Graphic design in collaboration with FEED (Montreal). With the support of the Galerie Leonard & Bina Ellen Art Gallery, Concordia University. An artist educated in architecture and environmental design, Jean-François Prost has a keen interest in new urban territories, spaces (and situations) of no apparent specificity, neglected, indeterminate, overcontrolled, even sterile. In Prost’s work, art is an act of resistance, a state of mind, a device to enunciate and exchange ideas. It activates and promotes social engagement, defends the presence of art everywhere and at anytime. Since 1998, his individual and collaborative work as founder of Adaptive Actions (2007) and co-founder of atelier SYN- (2000) has been shown at Dare Dare (Montreal, 1998-2000), the Canadian Centre for Architecture (Montreal, 2004), the International Architecture Bienniale Rotterdam (2005), the 3rd Manif d’art de Québec (2005), the Liverpool Biennial (2006), the Lisbon Triennial of Architecture (2013), and the International Architecture Biennial in Sao Paulo (2013). Jean-Maxime Dufresne is an artist trained in architecture and multimedia studies, whose research addresses urban and social territories as well as the transformations that shape them. Architectural inquiry and artistic agency are reconsidered through the multifaceted means of installation, photography, sound, video, intervention, and editing. His individual and collaborative work has been exhibited in Canada (Sporobole, Optica, Darling Foundry, Skol, Canadian Centre for Architecture), the United States (Graham Foundation), Spain (Madrid Abierto), Finland (Titanik), and Brazil (Sao Paulo Architecture Biennale). Working with artist Virginie Laganière, he is currently producing new research that looks into the afterlife and narratives of complex and often controversial Olympic sites in Beijing, Athens, Montreal, and Sarajevo (Centre VU Photo, Manif d’art 7 / Quebec City Biennale, 2014), project that will continue in Berlin, Munich, and Tokyo in 2014-15. Residencies have been supported by the Canada Council for the Arts and the CALQ, at the Inside-Out Art Museum (Beijing, 2013), Raw Material Company (Dakar, 2011), Homesession (Barcelona, 2012), and Titanik (Turku, 2014). His recent output with SYN- includes the Infracampus project at University of Guelph, produced with support from Musagetes (2011-13). He has been involved with the Adaptive Actions (AA) platform since 2009, coediting the Heteropolis book and contributing in particular to the Montreal, Lisbon and Madrid chapters. Atelier à l'école Saint-Enfant-Jésus, 2014.